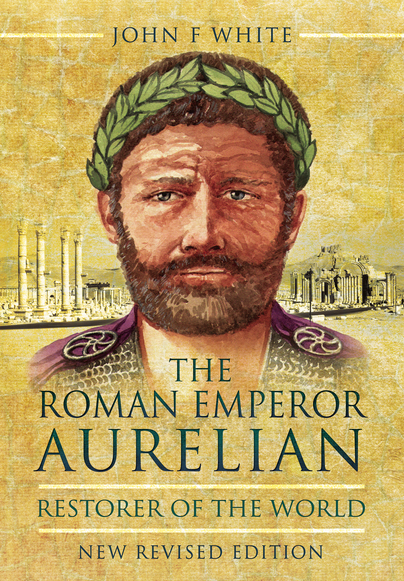 You'll be £8.00 closer to your next £10.00 credit when you purchase The Roman Emperor Aurelian. What's this? The ancient Sibylline prophecies had foretold that the Roman Empire would last for 1000 years. As the time for the expected dissolution approached in the middle of the third century AD, the empire was lapsing into chaos, with seemingly interminable civil wars over the imperial succession. The western empire had seceded under a rebel emperor and the eastern empire was controlled by another usurper. Barbarians took advantage of the anarchy to kill and plunder all over the provinces. Yet within the space of just five years, the general, later emperor Aurelian had expelled all the barbarians from with the Roman frontiers, re-united the entire empire and inaugurated major reforms of the currency, pagan religion and civil administration. His accomplishments have been hailed by classical scholars as those of a 'superman', yet Aurelian himself remains little known to a wider audience. His achievements enabled the Roman Empire to survive for another two centuries, ensuring a lasting legacy of Roman civilization for the successor European states. Without Aurelian, the 'Dark Ages' would probably have lasted centuries longer. This is a new, revised edition. Well written, The Roman Emperor Aurelian, one of a series on the Roman Emperors from Pen & Sword/Casemate, offers the lay reader an excellent picture of the Crisis of the Third Century and the life and work of Aurelian, which can be read with profit by those with a more serious interest in the subject as well, though marred by some irrelevant attempts to draw parallels with the state of the modern world. Incorporating new material, British historian White has revised and expanded his 2006 life of Aurelian… White weaves into this story not only Aurelian’s life, but that of several other emperors as well, plus an ongoing discussion of the evolution of the Roman Army. White builds a plausible picture of Aurelian, and often lays out the evidence for confusing or unsupported issues for the reader's interpretation. He also makes a convincing argument for attributing one of five imperial bronze busts, discovered beneath the pagan temple of Brescia in 1826, as an image of Aurelian. All things considered it is a powerful book, with no noticeable downsides. White is an engaging writer with a deep understanding of the subject matter. His book really is a landmark biography and a significant addition to classical scholarship. Because of this I recommend it to anyone interested in Aurelian, the later Roman Empire, or the Roman world in general. Read the full in depth review here! The subject matter of this book is fascinating. There is a lengthy section which describes the methods and tactics of the Roman army of the era, and it is possibly the best summary on that subject which I have read. There is a detailed history of the complex events of the disastrous 3rd century leading up to Aurelian, and a satisfying epilogue outlining the consequences post Aurelian. Overall, an excellent and interesting read. Recommended. Without Emperor Aurelian, the demise of the Roman Empire would have occurred much earlier, and many of their amazing innovations and inventions would have been severely curtailed. One of the most influential of all the Roman emperors is examined in detail in this superb biography by John F White. Essential reading for students of Ancient Roman history. A revised paper by John F. White on, what the author considers to be the savior of Roman world in the late third century.